Prabodhini Ekadashi also known as Devotthan Ekadashi, is the 11th lunar day (ekadashi) in the bright fortnight (Shukla Paksha) of the Hindu month of Kartik. It marks the end of the four-month period of Chaturmas, when god Vishnu is believed to sleep. 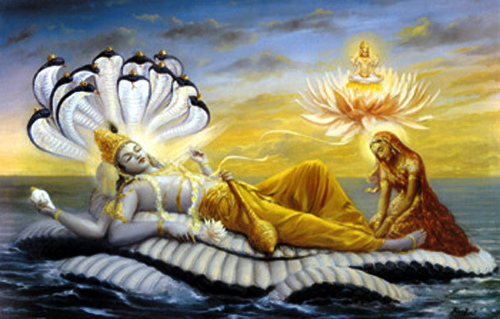 It is believed that Vishnu sleeps on Shayani Ekadashi and wakes on Prabodhini Ekadashi, thus giving this day the name “Prabodhini Ekadashi” (“awakening eleventh”), Vishnu-prabodhini (“awakening of Vishnu”) and Dev-Prabodhini Ekadashi, Deothan, Dev uthav ekadashi or Dev Oothi ekadashi (“god’s awakening”). The end of Chaturmas, when marriages are prohibited, signifies the beginning of the Hindu wedding season. It is also known as Kartiki Ekadashi, Kartik Shukla ekadashi and Kartiki. Prabodhini Ekadashi is followed by Kartik Poornima, which day is celebrated as Dev Diwali or Diwali of gods.